This figure entered the lair some time now, and I never figured out what line this figure originally came from.Thanks to jboypacman , Bubbashelby and actionfig , I finally got on track with this one. Thanks, guys! No original markings whatsoever (it´s a bootleg! ), it is complete. The original owner had no idea what it was. 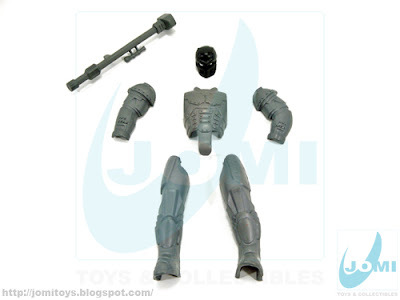 The original figure should have a stamped text "TM 1997 DC Comics Made In China". 5 1/2 figure. 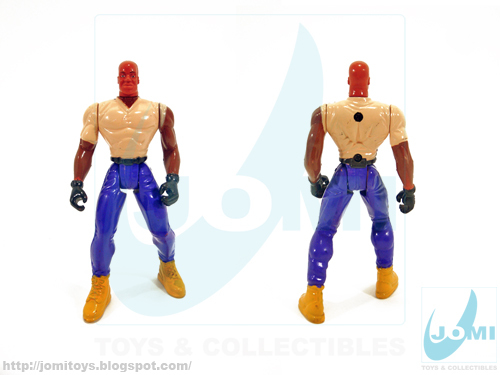 Original is a Kenner product, 1997 from same year´s Shaq´s Steel movie. Figure: Steel (A.k.a. John Henry Irons). Man of Steel. Included armor accessories/parts. 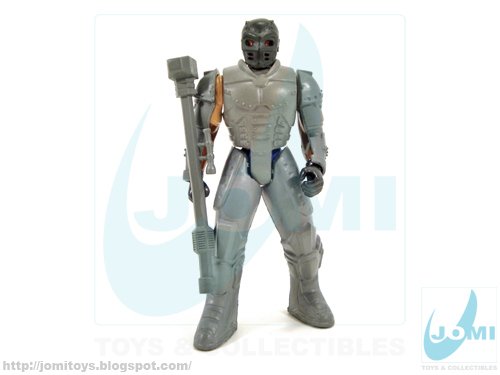 Hardened steel armor suit and weapon. Fits almost too good for a bootleg toy. A different mask from the original (open bottom half). The only thing i can think of is Steel from DC Comics when i look at this figure. 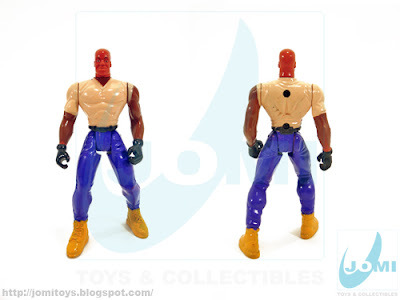 There was a movie they did of this character a while ago with shaquille O' Neal never saw it but i know it was made and i wonder if this is what this figure is suppose to be? His Bazooka looking weapon has a "Hammer" on one end which would make sense because Steel in the comics carries a long handled hammer. So this is my guess on it. 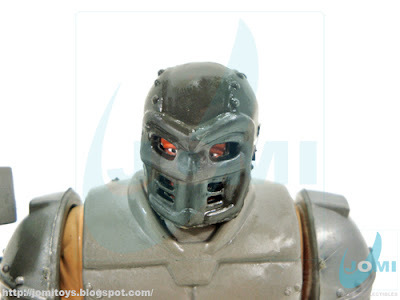 My guess is that's Steel from the Shaquille O'Neil movie...Steel. WHERE DO YOU KEEP GETTING THESE RIDICULOUSLY COOL FIGURES FROM!?!?! :) Awesome figure JoMi,and now that i have contained myself...could that be a STEEL knock-off? Wow, thanks for your help guys! Having 1000s of figures and accessories around, I do a lot of research, but sometimes things won´t come up when figures are bootlegs or KO and the originals never crossed my ways. Thank you for your help, you really made my day! 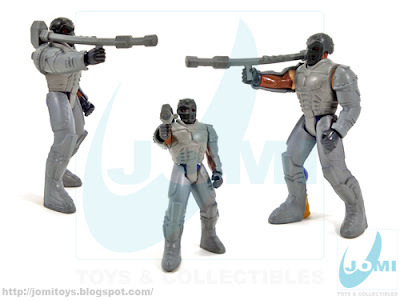 @actionfig, well, europe is a gold mine for bootleg figures. Especially in the late 80s and early 90s.